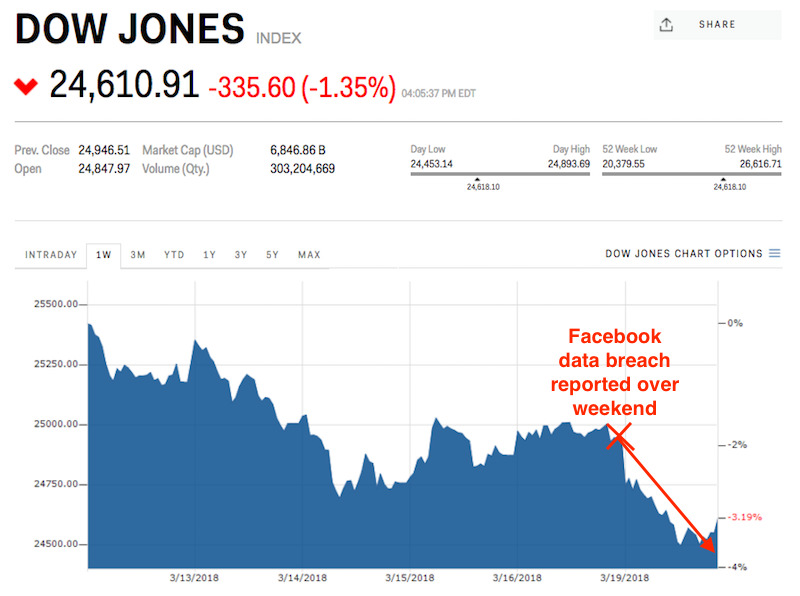 Global stock markets saw deep losses Monday in the wake of a report over the weekend that Facebook suffered a data breach. Facebook dropped as much as 8.1% on Monday, the biggest intraday decline since August 2015, dragging major indexes lower. 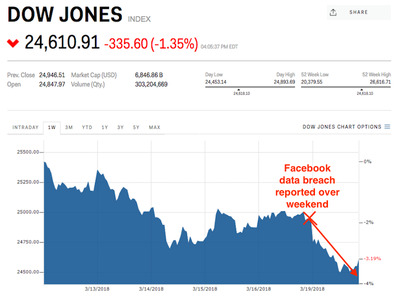 Stocks fell around the world as technology shares dropped, led lower by a report of a data breach that sent Facebook sliding the most it has in 2 1/2 years. 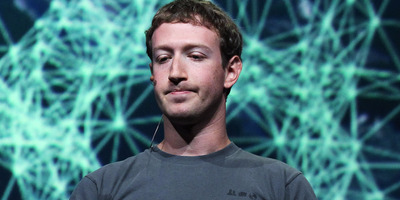 Facebook’s loss of as much as 8.1% spurred a decline of 1.8% in the tech-heavy Nasdaq 100 index, while the benchmark S&P 500 slid 1.4% and the Dow Jones industrial average also decreased 1.4%, or more than 300 points. It’s a situation that highlights an unfortunate reality about mega-cap technology firms like Facebook: While their outsize weighting in major indexes is a boon when their shares are rising, the comeuppance can be swift and unforgiving during times of weakness. And it leaves only one group poised to benefit: short sellers. It’s also likely that investors are positioning ahead of the two-day Federal Reserve meeting that starts on Tuesday. Jerome Powell, the new Fed chairman, will make his first decision on interest rates, and some market participants are fearful that hawkish actions will drive more equity selling. After all, the additional yield afforded by a rate hike theoretically makes bonds more attractive relative to their stock counterparts. Selling pressure in equities was also felt in overseas markets, as the Nikkei 225 lost 0.9% and the Stoxx Europe 600 declined 1.1%.